As we reported a few days back, there was clear indication that Apple would begin selling unlocked iPhones at its stores today. As expected, Apple has began selling unlocked GSM iPhone 4’s at its stores and on its website, but is now the best time to get a brand-new iPhone? 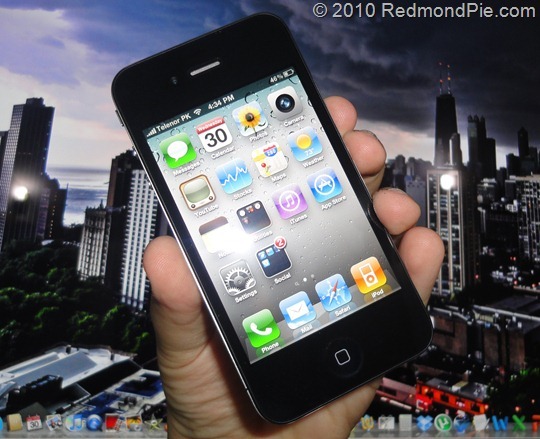 The 16 GB version of the unlocked iPhone 4 is selling for $649 and the 32 GB version is available for $749, while locked versions have been selling for $199 and $299 respectively for almost a year. While this may seem like a good deal, most US customers will likely not benefit from this. If you’re planning to buy an iPhone and use it on T-Mobile, you’ll be out of luck, since that carrier uses a different 3G frequency that isn’t compatible with the phone hardware itself. That will leave you with a lackluster EDGE connection that will stop you from browsing the web at decent speeds. Are iPhone 4 and iPad micro-SIM cards interchangeable? No. An iPad micro-SIM card will not work with your iPhone. It turns out that the unlocked iPhone is only promised to function on "supported" GSM networks. Unless you’re planning to travel abroad and use international carriers, with an international Micro-SIM card, you’ll most likely end up locked into AT&T no matter what. No, Verizon won’t do the trick either, since it uses another 3G technology known as CDMA, while this phone only supports GSM. There are more drawbacks, however. If you’ve been following recent rumors, you’re probably aware that a new iPhone might be coming out as soon as September. In fact, according to a report yesterday, new iPhone hardware has reached the final testing stage and near-final prototypes are now being passed around Apple and carrier executives. In short, spending $649 (minimum) on a brand-new iPhone 4 a few months before a new model replaces it can be a great mistake, especially if you’re an Apple enthusiast. Sure, if you travel abroad often and need to swap SIM cards, this will likely mean a great deal to you, since you’ll be able to use the same phone anywhere in the world, without having to pay outrageous roaming rates. If you’re a regular iPhone user, however, I advise you stay away.